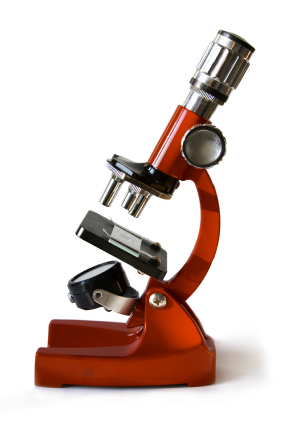 The Schwartz Foundation is dedicated to enriching people’s lives through ‘real’ contributions to Medicine and Science. From providing early stage funding for breakthrough Medical Research programs or simply disadvantaged and needy individuals access to basic Medical Services we are passionate about making a difference. Dr Jerry Schwartz practices as a cosmetic surgeon, and one of his major procedures is liposuction. As it turns out, fat, the waste product of liposuction is a rich source of Stem cells. The Schwartz Foundation has enabled the establishment of the Anatomy museum and Surgical Skills laboratory at the newly established Medical School of the Notre Dame University, adjacent to St Vincent’s Hospital and Hospice in Darlinghurst, Sydney. Moreover, Dr. Jerry Schwartz is involved in setting up the museum, and also to assist in the Anatomy curriculum. Creating this surgical skills laboratory and Anatomy Museum involved both large donations of money and over 300 specimens of body parts from all systems of the body. 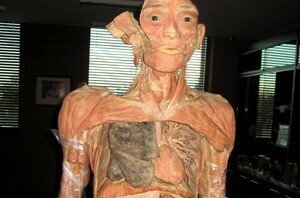 The museum at the newly established Medical School even has a fully plastinated human specimen called “ happy”. These specimens have also been electronically documented, proving to be excellent part of the study program for medical students. Dr Jerry Schwartz is particularly proud of this initiative, as the Anatomy Museum is located just across from where his father Bela Schwartz’s Dental Surgery was once located. With an acute stroke occurring every 10 minutes in Australia, a revolutionary timesaving diagnostic device called the Stroke Finder helmet is being clinically trialled by the Hunter Medical Research Institute for the first time. The helmet is compact and portable, enabling rapid deployment in Emergency Departments and ambulances. Above all, it’s fast to operate, performing multiple brain measurements in 60 seconds using microwave technology similar to that of mobile phones. Two units from Swedish firm Medfield Diagnostics will be trialled by stroke researchers in Newcastle’s John Hunter Hospital over the next 12 months. Stage 2 of the study will engage the Ambulance Service of NSW to explore the potential for stroke therapies to be administered pre-hospital by paramedics, via telehealth connection. HMRI Director Professor Michael Nilsson and Hunter New England Health stroke leader Professor Chris Levi have assembled a multidisciplinary team to help evaluate and refine the Stroke Finder’s detection system, comparing its accuracy against a standard CT scanner. “When an ischemic stroke occurs, the faster we begin to dissolve the clot, the more brain can be salvaged. But we must be sure that it’s not a haemorrhagic stroke because the treatment paths are vastly different,” Professor Levi said. 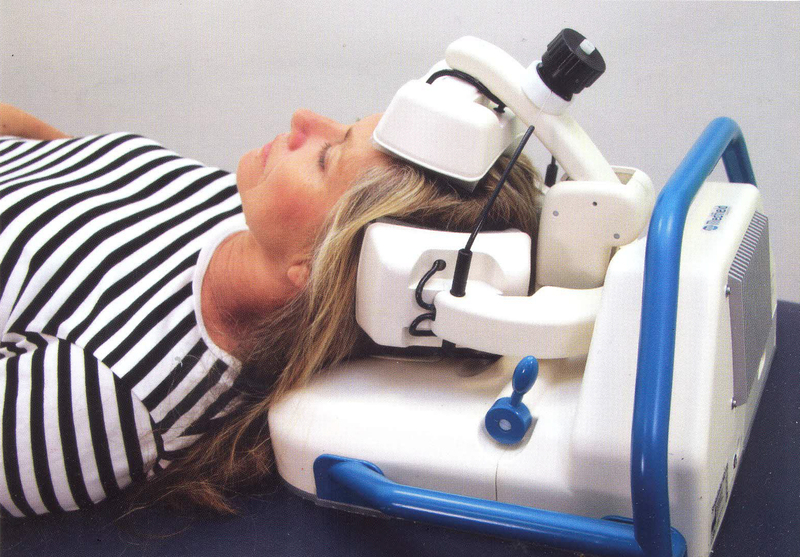 The stroke patient’s head is placed directly on the cushion-sized base and sequentially scanned by antenna pads emitting low-energy microwaves – these pulses “scatter” in brain matter, and bleeding patterns are then detected via an image-generating algorithm. 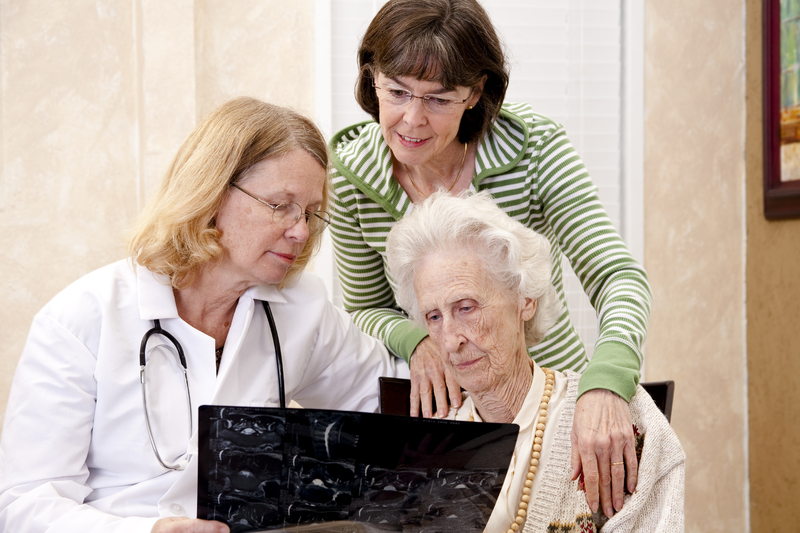 The Stroke Finder is battery powered and wireless, being operated from a tablet. Professor Mikael Persson, a Biomedical Engineering specialist from Chalmers University of Technology in Gothenburg, conceived the technology after studying whether mobile telephone usage affected the brain. “In our computer modelling we simulated how phone microwaves passed through the brain – and could also see how brain matter affected the waves,” Professor Persson explained. “We then simulated a brain bleed and could directly see an effect on the wave propagation. HMRI Director Professor Michael Nilsson said Hunter New England Health and HMRI were a natural choice to collaborate with Medfield Diagnostics because of the region’s renowned expertise in stroke care, rehabilitation and research. “The accuracy has been very good so far and if the platform can reach the level of CT scanning when it comes to diagnostic safety, the future looks promising,” Professor Nilsson said. The HMRI Sydney Foundation helped secure community funding for the project, including a significant donation from Dr Jerry Schwartz, through the Schwartz Foundation, for the acute care pilot study. As a clinician, Dr Schwartz said he was acutely aware of the two major causes for strokes and also the physical and financial burden. “The treatment of each cause is opposite – one is to thin the blood, the other is to stop the bleeding and maybe evacuate the blood – but both require immediate treatment for best results,” he said. “This simple device, which can be placed into an ambulance, will differentiate the cause while the patient is being taken to hospital. How fantastic. Awarded in alternate years at the University of Sydney by the Schwartz Foundation one year, and the Zelman Cohen fund and at the Hebrew University of Jerusalem the next year. This prize recognises discovery in medical research by a researcher under 45 years of age who has made a major contribution to the understanding or treatment of disease. The inaugural award was made in Sydney, in 2006. The 2010 award was awarded to Dr Rachel Codd of the School Of Medical Sciences, University Of Sydney. Dr Codd was nominated for the development of a range of compounds that may be effective in treating iron overload disease. In 2014 the award was jointly awarded to Anthony Gill for his contributions to our understanding of a number of gastrointestinal and renal cancers, including the discovery of hereditary components of some of these. Ostoja Vucic for his discovery of a unique mechanism underlying amyotrophic lateral sclerosis (ALS), a fatal neurodegenerative disorder. The Schwartz Foundation was a founding Benefactor for the GPRA (General Practice Registrar Association) which supports General Practice specialisation trainees all over Australia. For three years, we have supported the “First Wave” project which matches medical students with General Practitioners in their earlier formative years, to increase the awareness of General Practice. This has substantially increased the desire of medical students to strive to enter the General Practice training program once they have graduated.